Brandon chats with Emmy award winner, Herb Gonzalez on the show today! We hear what Herb is currently working on and how much he has transformed through his entrepreneur journey while working with Brandon. It’s a journey that requires a lot of work but worth it because he gets to do what he loves most! – Where Herb has transformed since meeting Brandon. – What Herb has learned while working with Brandon. – How Herb decided to launch and create a clothing line from scratch. 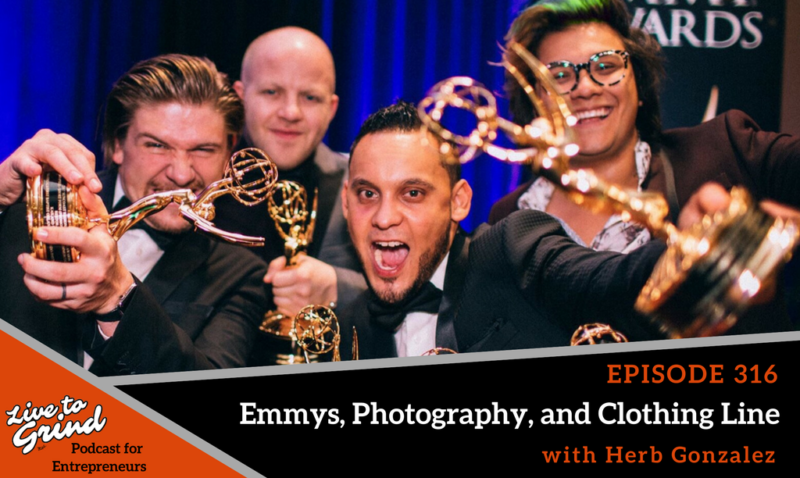 – Herb shares his experience when he received an Emmy. – What is Herb working on this year?